Today, formal practice sessions are no longer held inside the cave. 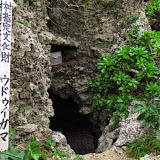 However, on the actual day of a Mura Ashibai, an opening ceremony is still performed at the cave as a dedication offering. 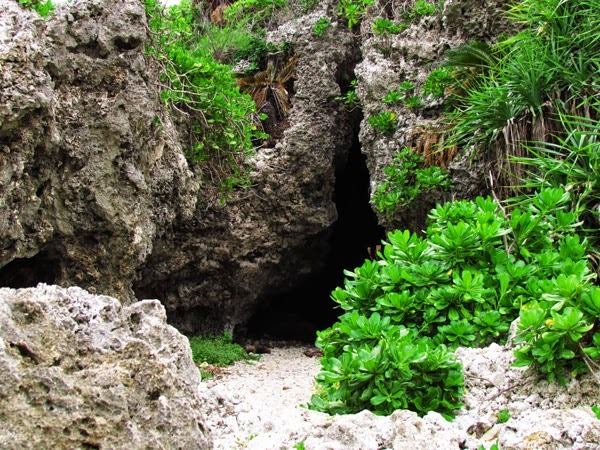 (2) From time to time, villagers may still use the cave as a place for prayer or to conduct traditional dance sessions for special occasions, and throughout Okinawa, you may find other caves that villagers have dubbed generically as an uduigama. If so, more than likely it gives reference to a special dance ceremony that once took (or currently takes) place inside the cave. Cultural Sensitivity. Please show reverence as you enter the cave. If you happen to stumble upon a special ceremony please maintain a respectable distance unless given special permission to do otherwise. Please note that some Okinawans during spiritual ceremonies may not like their photographs being taken. i. Udui is slightly similar in pronunciation to its Japanese counterpart, odori (おどり,踊り). iii. 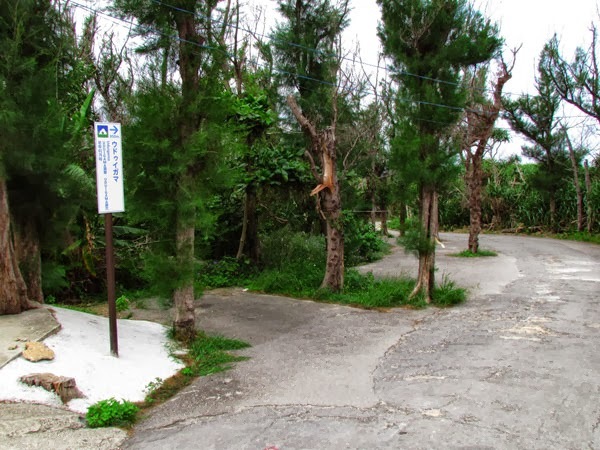 Mura (ムラ) is the Okinawan word for village, and Ashibai or Ashibi (アシバイ or アシビ) is Okinawan meaning 'gathering'. In translation, the August Mura Ashibai means the August Village Gathering. Direction. Uduigama is in close proximity to Cape Manzamo. To get to Cape Manzamo take Highway 58 to Onna Village. You will see signs directing you to Cape Manzamo (Please view the map above). 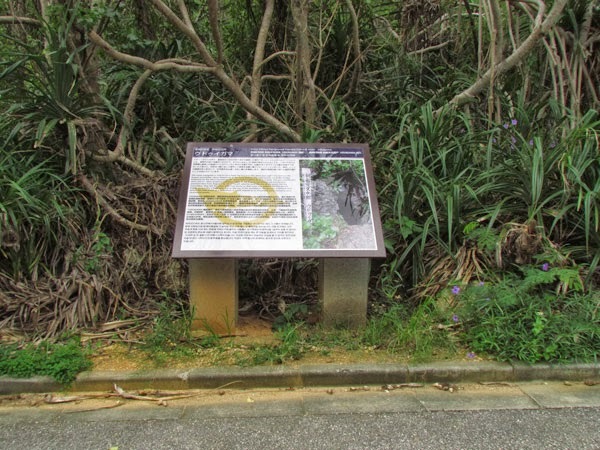 Once you arrive at the Cape Manzamo parking lot, look for a sign marker to your left as seen here. It will have the name Uduigama on it. You can take your vehicle all the way to the cave, though the lane will be somewhat narrow and parking will be tight. 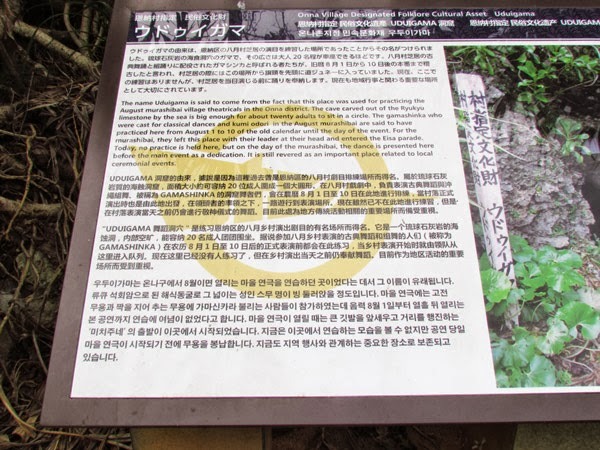 You will see an Onna Village Office sign off to the right that gives the cave's history. Note. On the map it appears you can take another road to the cave. This entrance is actual gated off. 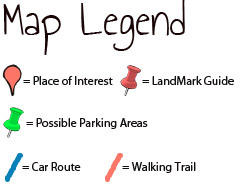 Other places to visit nearby. The Onna Gusuku and the Hamasaki Utaki, Cape Manzamo (Sunset).